For some reason over the weekend, I was struck by the desire to do the Egg Fast again. I am one of the admins in the biggest Egg Fast group on Facebook but it has been awhile since I have taken the plunge. The Egg Fast is very easy to follow and you get great results fast, but you really need to be in the proper frame of mind to do it. And for me that day is today! Because so many people in the group ask for examples I decided to document my Egg Fast menu here on my blog. I will try to be as detailed as possible and include pictures and recipes. They won’t be fancy pictures, just quick snapshots with my phone! This Egg Fast menu will also be compliant with the rules we go by in the Facebook group so there is no confusion! I will list every spice/sweetener/sauce thing I use. 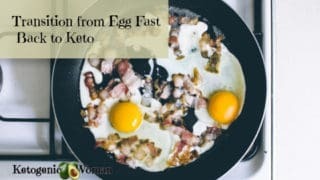 For those that need a refresher, here are the Keto Egg Fast rules and here is the Egg Fast FAQ. Remember, I am arranging this egg fast to fit my very busy working mom schedule! I am sharing a breakdown of times to give you ideas, not to tell you this is how it must be done. For Day 1, I planned an egg fast meal plan of 8 eggs because I knew that I would be hungrier on the first day. And if 8 eggs are not enough, I will simply have an extra egg as a snack (with butter of course!). 5:30am: 16 ounces coffee with 1 tbsp coconut oil and 1 tbsp butter. Put in the blender with a dash of cinnamon and a dash of pink himalayan salt. Blend until frothy. Cooked my breakfast and made my lunch, both of which I carry to work with me in my insulated lunch bag. Note: Salt is extremely important on the egg fast! Use it liberally! I choose Pink Himalayan salt because it is abundant in minerals. and pepper. I used 1 tbsp butter for cooking in the pan. This is easily my favorite egg fast breakfast. I have this 2-3 times a week even when I am not egg fasting! 11:00am: 1 cheese string with 1 tbsp mayo for dipping. 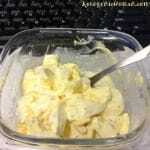 1:00pm: 3 chopped eggs with 2 tbsp mayo, salt, pepper. I normally also like a sprinkle of smoked paprika on this but I couldn’t find it this morning! At this point in the day I have had 6 eggs, 6 tbsp fat and 3 ounces cheese. I like to stay under 4 ounces cheese in a day for best results and for sure a maximum of 6 ounces. 5:00pm: Waffles. Yes, waffles! 🙂 Click here for the waffle instructions. 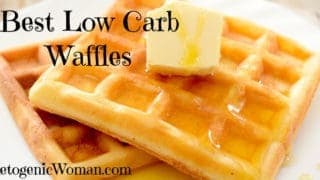 The waffles recipe normally equals 2 eggs and 2 ounces cheese. I doubled the waffle recipe because I will be making a Wafflewich for dinner tomorrow. You’ll see. Total for the day: 8 Eggs, 8 tbsp fat and 4 ounces cheese. And of course, throughout the day I am drinking water, water and more water! 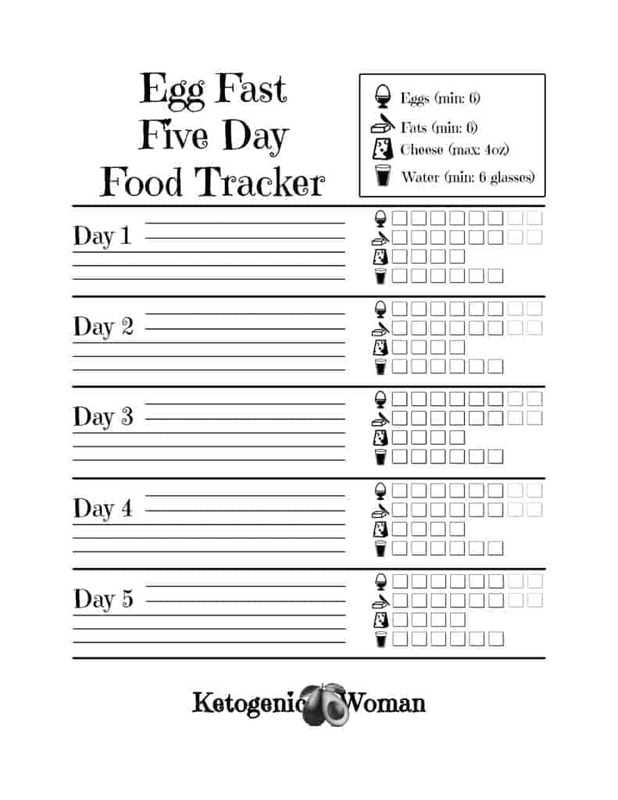 This Egg Fast 5 Day Tracking Sheet might be helpful to download! Tagged boiled egg diet menu, egg diet meal plan, egg diet menu plan, egg diet plan menu, egg fast results. Bookmark the permalink. Just made these waffles for supper! Very good! awesome, so happy you like them! Thanks for your feedback! My husband and I started the Keto way of life (notice, I did not say Diet….diets never work long term, you must have a change of the way you eat!!) about four months ago. His doctor told him he had to loose weight or he WILL be on insulin. As of today he has lost around 50 lbs and I have acquired my goal weight! He has reached a stall in his progress, so we have decided to try the Egg Fast. Your blogs and recipes have totally inspired me to help him out!! Of course, as a supportive wife, I will be doing this with him! I’ll let you know how well it does for him. I am so very proud of him. awww, I love this, thankyou so much! Stalls are common as your body does sometimes need time to adjust, but if they go on and on I find the egg fast is a good reboot! best of luck! Hi! I’m so glad I found this blog! I have a work friend who does the keto diet and she looks amazing even after giving birth to her first child. Anyway, I’m looking for advice on going Keto since I have heart disease. I’m supposed to limit salt because of my blood pressure. Although my bp is fine now and I’m on bp meds, I’m concerned with adding more salt to my diet. Is this really a necessary step or can I just go along like I’ve been? I don’t eat low sodium foods, I just don’t add salt to anything – never really have. we don’t want you doing anything that goes against doctor’s orders. Most people find they need more salt while doing keto, your situation might be different. It’s really more of an electrolyte issue when doing keto so just let how you are feeling be your guide. Take a read of this article about keto flu and consider adding the Calm drink to your routine. I know many women with BP and heart issues take this supplement. It helps with all sorts of related issues such as balances calcium intake, restores healthy magnesium levels, helps your muscles and nerves function properly, keeps your heart rhythm steady and supports a healthy immune system. I take it almost every night (when I remember!). Hi! I’m so glad I found this blog! I have a work friend who does the keto diet and she looks amazing even after giving birth to her first child. Anyway, I’m looking for advice on going Keto since I have heart disease. I’m supposed to limit salt because of my blood pressure. Although my bp is fine now and I’m on bp meds, I’m concerned with adding more salt to my diet. Is this really a necessary step or can I just go along like I’ve been? I don’t eat low sodium foods, I just don’t add salt to anything – never really have. Thanks in advance! Today is my second day doing a bullet proof coffee with coconut oil and butter. I’m not sure the oil is agreeing with me. Can I use 2 tablespoons of butter instead? Absolutely! Coconut oil has a natural laxative effect and for some people (I’m one of them!) that natural effect is slightly more, shall we say pronounced? You can do intermittent fasting with egg fast, many people do that with great results. You still want to get a minimum of 6 eggs so that you get enough protein. i want to start this since i am stalled on my keto diet. and two things id like to ask. 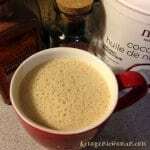 if i dont do the butter/coconut oil in my coffee can i replace it with small heavy whipping cream? or will that beat the purpose of egg fast and im guessing i cant really add any usual hot sauce correct when i first start this? i guess i can slowly try the butter coffee but a little afraid of it ahaha. You actually don’t have to put anything in your coffee at all, it’s not mandatory. But if you hate black coffee, then give the butter/coconut oil thing a try. If you whip up 16 oz of coffee and 1 tbsp each of butter and coconut in a blender with a little sweetener, it will taste just like a latte. No heavy cream required! 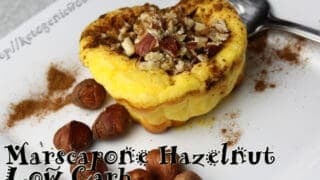 You would be surprised how many people come to realize that the reason they stalled in their keto weight loss is due to things like too much heavy cream, too many nuts and processed keto foods. Give it a try! 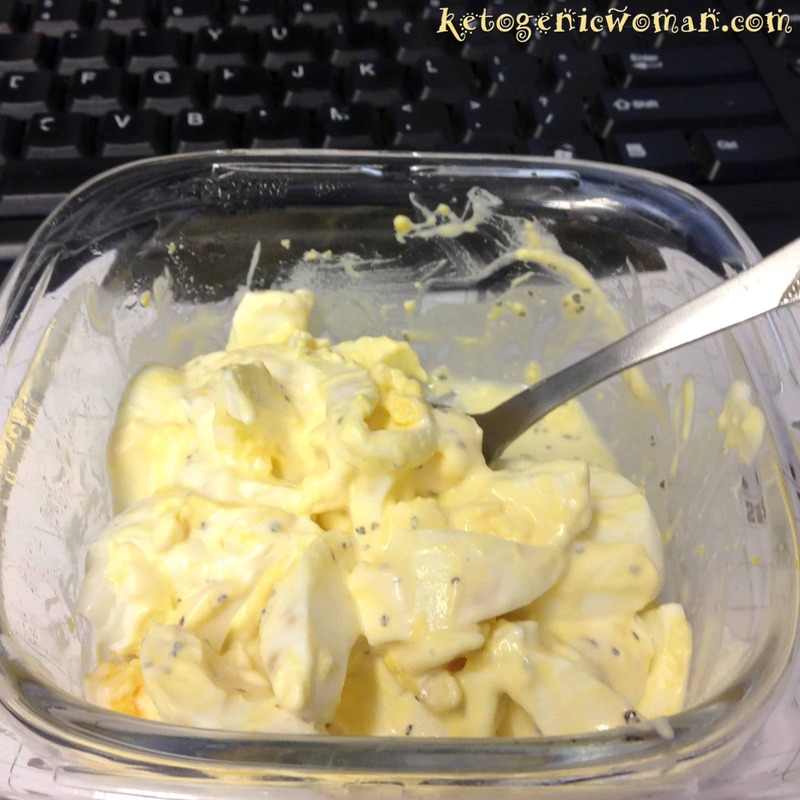 Ketowoman – I’m SO happy to have found your blog! Thank you so much for sharing your experiences, and wealth of information! I can’t even imagine having coffee without some type of creamer, and I assume coconut cream is a better choice than heavy cream? Well Peggy, being that we are the age that we are, nobody tells us what to do! At least that’s how I am, lol. Technically the coconut cream is not egg fast compliant, but at least it’s dairy free. But the problem with HWC as well as full fat coconut cream is the fat and calories. For women our age, these things actually *DO* matter if we want to lose weight. People that say calories and fat don’t matter, well they are young people with better metabolisms. These days, when I’m not on the egg fast, I am using unsweetened coconut milk in my coffee and I am perfectly content with that. But it *was* a journey. You are talking to someone here who had 2-3 tbsp of HWC in several cups of coffee every day (along with 2-3 sweeteners each time). That kept me stuck for so long. Wean yourself away in whatever way it takes for you and you won’t regret it, I promise! That’s good to hear! Your efforts *will* pay off. My brother in law cut the cream in his coffee and lost 25 pounds without even changing anything else. And it’s been a huge factor for me as well in getting to my lowest weight in years. We’ve got this! Thank you ladies, I’ve been usingHWC in my coffee and have been stalled for about a month but maintaining. So that’s my problem or at least I hope so!! I’ll keep you posted however I’m going to follow this egg fast this week to kickstart my progress again??? It’s definitely a problem for many so it’s worth a shot! Good luck! I have a question regarding HWC. I mean butter is just over whipped cream. So wouldn’t HWC just count as a fat? 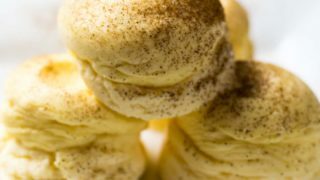 What’s the difference if I use butter in bpc or hwc in coffee? Do we also count that tbsp of oil and butter from our keto coffee? yes, absolutely! Whatever you ingest and however you ingest it, it is counted! During the egg fast can I still drink a cup of chicken broth? I am starting the egg fast but I can’t do cheese. Any other suggestions to sub the cheese? I am lactose intolerant. The cheese is optional and most people have better results when they leave it out. The only substitute is more eggs and fats. In any of the recipes that call for cheese (such as the waffles or muffins) simply substitute 1 tbsp mayo for each ounce of cheese. Cream cheese is counted as cheese for the egg fast. The waffles are made with 2 eggs and 2 ounces cream cheese, so if you made them that way and ate the whole thing then it is 2 eggs and 2 cheese. If you add butter on top, then count whatever you add. I’m not sure what you mean by 1/2 waffle? If you are eating half the recipe, then divide by 2. Hope that clarifies! Hi there. Can I modify this fast by eating the amount of equal fat to egg count but keeping it within the 1,200 calorie range? It’s not necessary to be that low for the few days the fast lasts. However if you are determined, 6 eggs plus 6 tablespoons of fat is approximately 1100 calories. That said, we hear from members of the egg fast FB group that they get best results from eating 7-8 eggs plus equal fats. What if you’re REALLY short and that’s just too many calories for your BMR? I intermittent fast and don’t eat until late afternoon. 6 eggs + 6 tbsp fat is approximately 1100 calories. You will just have to try it out within your own parameters and see if you can make it work. Lots of people do IF and egg fast. I don’t really know, I’ve always followed the 1 egg to 1 tbsp fat protocol because it’s always worked. I don’t like to fix what isn’t broken. 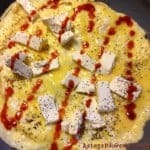 You are commenting on a post for the Egg Fast, so I’m hoping that you are not thinking that the Egg Fast is a typical ‘keto diet’ because it’s not! But that said, cheese is not a requirement on Keto and it’s not a requirement on the Egg Fast either. It’s just there to make the very limited Egg Fast menu more interesting. For Keto, focus on whole natural fats, proteins and veggies. Don’t even look at the egg fast until you have been following keto for awhile and have hit a weight loss plateau. Good luck! Can we drink the sugar free drink mixes like Crystal Light? Yes, but keep in mind that sweeteners are often the reason people have stalled in their weight loss and so sweeteners are limited to 3 servings a day in total. You would have to count the Crystal Light accordingly. Good luck! 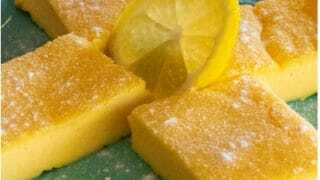 What is considered a serving of sweetener? 1 oz? 1 Tbsp? I’m doing my 3rd egg fast right now. I am on day two and this is the first time that I have had a gain in the first day. 0.2 lb gain. Hoping for better results tomorrow morning after day 2. For the purposes of the eggfast you can consider a serving to be either 1 can of diet soda or other sugar free drink, or 1 packet artificial sweetener or 1 serving of an egg fast recipe that contains sweeteners. This represents a major cutback for most people, I know for myself this was very hard but I learned that I was consuming way more ‘sweets’ than I would have thought and I was completely dependent on them which is not good. Most people don’t realize that this pattern sets them up for that constant craving for something sweet and this makes a lifestyle change very hard. Good luck! Yes, try a teaspoon of baking soda in a glass of water, works every time! 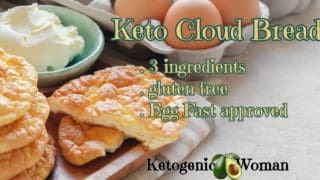 Avocado is a great keto food, one of my favorites. But the egg fast is super restrictive and avo is not on the list! Thank you for the idea of a keto-day. I did it today and the meals were delicious and so easy to make. I had a hard functional training session this morning but I feel great and satisfied. Thanks a lot from Germany ? 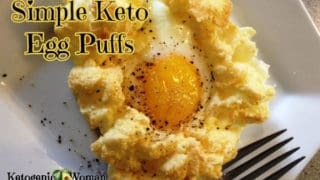 I am new to the EF and the keto diet. My question is, I drink coffee with a sugar free 1 g of fat,2 carbs French Vanilla coffee creamer, (off brand at Walmart, Great Value) is that something I can use, or should I just go to the butter, coconut oil and vanilla extract? and Stevia?, and if yes, should I just do that all the time after I am done with the EF? I would stay far away from those creamers (check out the list of unpronounceable ingredients on the label). At any rate, not allowed on the egg fast, not even regular keto worthy. Stick with real ingredients even on regular keto. Check your creamer for HFCS. A lot of sugar free creamers are made, 1st ingredient, water, 2nd ingredient, high fructose corn syrup. imagine that, sugar free corn syrup. So true, Leo! Also look out for sugar alcohols. Sneaky way the manufacturers put sugar back in. Nutella has high fructose corn syrup as it’s first ingredient, so look on Pinterest for the recipe to make your own. Hi there! 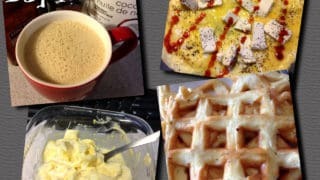 I do not have a waffle maker- is is easy to make the waffles just as pancakes in a pan? 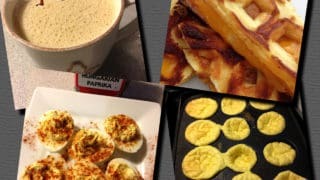 It seems that many people in the egg fast facebook group feel that 8 eggs/8 fats area better number for weight loss and getting enough protein. For myself 7-8 eggs were always my average as well. But that said, there is no upper limit as long as you eat only until satisfied and not stuffed. On regular low carb, cheese is a fat. For the purpose of the egg fast, cheese is considered a cheese. It is optional and should be severely limited because most people lose better without it. My first choice of fat on the egg fast is butter and second is coconut oil. So those are 2 other options besides mayo. Could you eat a coconut bomb with the hard boiled egg. Are they allowed? It depends on what else is in it! If it contains egg fast protocol ingredients only, then yes! I’m so excited that I have found your website! You have great information and great recipes! I’m new to Keto eating…about three months. I’m not 100% faithful as I end up doing mostly LCHF. I lost 6 lb but now at a standstill. I’m going to attempt your egg fast to restart my wt loss. Thanks!! The waffles look yummy! Thank you for taking the time to answer our questions. I was wondering if you can put a small amount of dill relish in the egg salad or just mayo? Personally I would hold off on as many extras as you can until you transition back. Goal #1 of the egg fast is to get the scale moving again after a stall, Goal#2 is to figure out what your stallers/triggers are. It’s like an allergy elimination, you start from ground zero (in this case mostly eggs and butter) and slowly add things back. The egg fast when followed correctly is 85% fat. That is higher than most low carb programs out there, but this is only for a few days and still lower than the Atkins Fat fast which is in the 90+ % fat range. It really is almost like doing a fat fast. Not worried about cholesterol, mine is fantastic. Those myths about food cholesterol cause high cholesterol have all been debunked, it’s sugar and carbs that you need to worry about. 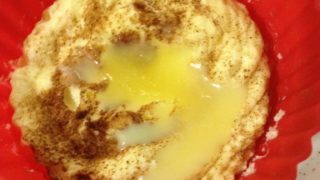 Regarding Cholesterol in the egg… I never fell for that because years ago, before the egg got such a bashing for Cholesterol and egg white products hit the market, I read an article on eggs. The truth is, there is high cholesterol in the egg yolk. On the other hand, there is tons of lecithin in the egg white. Turns out that lecithin is what attaches to cholesterol and pulls it out of the body … simply said… they had a more scientific way of telling it… but gosh that was about 35 yr. ago when I read that. Anyway, seems the egg is a perfect food! 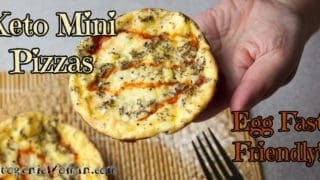 Yes, I think it’s a perfect food for keto! I never get tired of them! 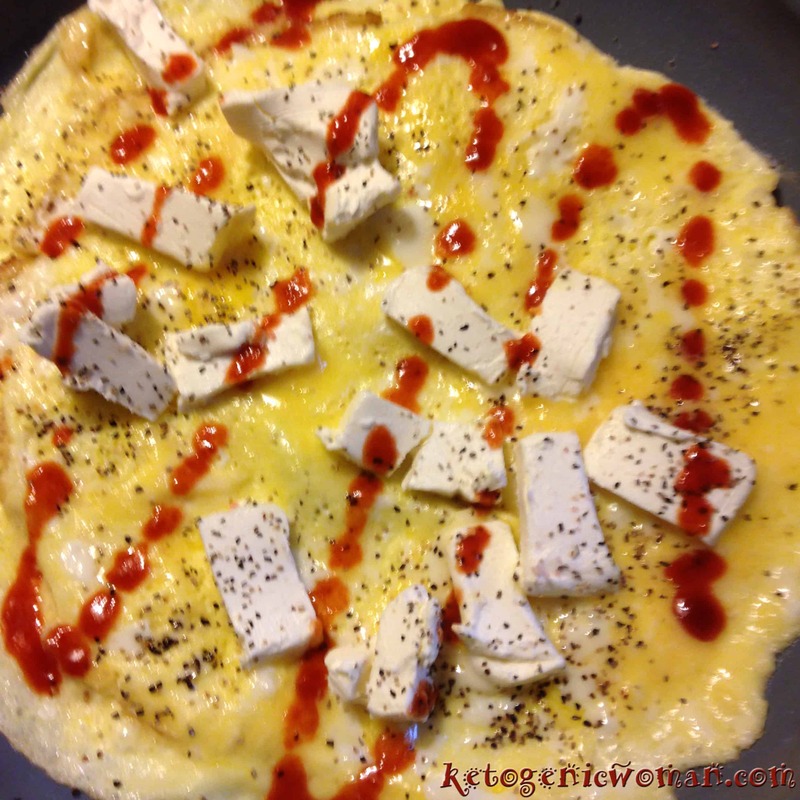 I saw that you use Sriracha sauce on your egg fast. I love this sauce! But, it definitely has carbs and sugar. Do you think it’s okay for a fast (or even keto)? Thanks! I actually use it myself, but just a few drops. Luckily a few drops goes a long way! 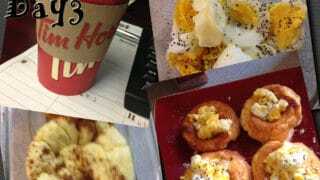 Hello wondering if we can use stevia for BPC during egg fast? Thanks! Yes, of course you can! Stevia is a great sweetener. For the egg fast it is recommended to not have more than 3 a day. Thanks so much! My first day I lost 1.7 lbs. Do you have a workout regiment? Also, I premade the cream cheese muffins. That were so delicious. Oopsie! But I messed up on the recipe, I put 1Tablespoon of Splenda sweetener instead of 1 tsp to grease muffin tins I also used coconut oil spray. Your thoughts? Awww, you’ll be ok! 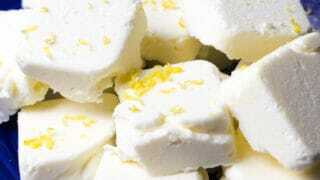 I am trying to give up my dependancy on sweet things so adjust accordingly. Thanks for visiting my blog! Hi KetoWoman, thankyou for all the great info, I’m wondering is the Coffee or Tea for the caffeine hit to kick start the body? as I don’t drink and don’t like either, I have in the past drank Coke by the bottles each day, I have gone a whole month with out any at all, just plain old water for me. No they are completely optional and just there for those who drink coffee! Plain water is great! How does one lose weight eating 2000 calories a day. I added up the calories from your day one and it comes up to right around 2,000 calories (I used Jumbo eggs for my calculation). I just don’t understand how that works. That is a maintenance amount of calories not weight loss amount. You should should probably start by researching ketosis and everything low carb and ketogenic. Now, that said, if you are tiny and used to eating low calorie, then this probably will not work for you. 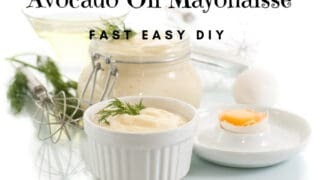 Which kind of oil can use for mayo? I would use a light tasting oil like avocado oil. if i ate hard boiled eggs, how do i get my fat in there? do i need to make up in fat all the ones i missed with my HB eggs? yes, you want to end the day with an equal amount of eggs to fats. You can have butter or mayo on your hb eggs, you can put the fat in a coffee in a blender, that is quite delicious! Can I take MCT oil pills with my HB egg to get the fat? No the egg fast calls for the real actual tablespoon of fat , 1 tbsp per egg. You can take the supplements in addition but not instead of. Thanks a ton for posting this information. I have a question can I take a cup of milk as soon as I get up. with a health mix powder. That’s up to you but it’s definitely not on the egg fast or any keto/low carb diet. Milk is very high in carbs. Thank You! one more question today is the 3rd day and I feel Pukish after seeing eggs.. Is it normal. How to avoid this sensation. If you were not already low carb before then chances are you have what we call Keto Flu! You can use No Salt to get extra potassium or take a magnesium supplement. You can read more about Keto Flu here. You can have coffee or any type of tea (no sugar added). They are optional, coffee is not required. Hello. I am willing and set to start the EF. But I don’t like fried egg or any form of it. Please can I substitute it with boiled egg and can I take say two boiled egg dipped in coconut oil with a sprinkle of white pepper? Would it be effective if I keep on boiled eggs for the keto? Please help a desperate sister. You can have your eggs boiled, fried, scrambled, raw, any way you like! You need 1 tbsp of fat for each egg you eat. Good luck! I don’t drink coffee but I like my tea. Can you do the same ingredients with the tea as you do with the coffee? Also I am brand new to this whole thing. Did you have to be on a Ketogenic diet before you start this? Yes, you can do instead of coffee. It helps if you are already low carb/keto/lchf because the egg fast will come with one heck of a carb detox and it won’t be easy! The EF is an extreme version of low carb high fat (LCHF). You can have normal black coffee! On the Egg fast when we say BPC we just mean normal black coffee blended with butter and coconut oil. It’s a convenient way to use up the fats. But you can drink your coffee black and use those fats elsewhere during the day. If not working out should we eat less eggs than you do? You should eat enough eggs (plus 1 fat per egg) so that you are full but not stuffed. 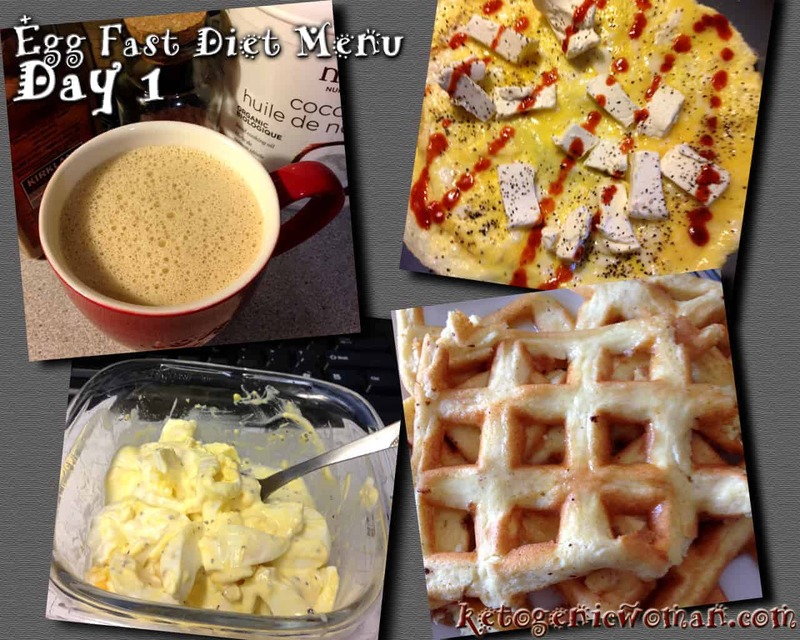 someone was told not to use cream in coffee during this egg fast because dairy stalls weightloss. But we are allowed to use cheese, isnt cheese considered dairy? Yes, and it also stalls many people! Keep it to 4 ounces or less and even that may be too much. If you find yourself not getting the results you think you should get, stick to just eggs and butter during the fast. Me again…can you use cream in your coffee? On the egg fast, no. 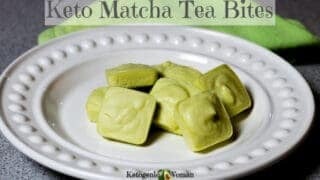 Many people do use it on regular keto although dairy is a known staller for many people. The Egg Fast FAQ might be helpful for you to read. Best of luck! Hello! Can you use peanut oil instead of coconut oil? No peanut oil is not encouraged even on regular keto. I recommend for you to read my article on healthy cooking oils. But specifically for the egg fast butter, coconut oil and mayo are on the egg fast. Hi I know this is an old post. But i just found this today and here’s my experience. I’m on day 1 of the egg fast. Have been on LCHF for most past of 21/2 months, though, i sometimes binge-eat carbs, Like i did last week. Well, i decided to do the egg fast so i can lose my last 4kgs and move into maintenance mode. I wasnt prepared for the wave of nauseausness i had after my first meal amnd its pretty much stayed for the whole day. Finally, here’s my question, can i do erythritol as sweetner with my egg fast meals. That nausea is keto flu. many people get it even if they are already low carb because the Egg Fast is 85% fat, it’s like doing a fat fast. You can have up to 3 servings of any sweetener per day. Read more about Keto flu here. I have been doing HFLC since January – a bit hit and miss along the way but I am not losing. I don’t have any health issues apart from my weight. I am struggling with the fact that i don’t have a gallbladder and high fat can make me feel icky. I take supplements, have increased magnesium, am on a great probiotic and have been using iodine drops. I am going to try the egg plan. Any other hints re gallbladder? I hope someone can suggest something for you! I don’t have any knowledge about this. Good luck! I just read in Bruce Fife’s book The Coconut Oil Miracle that coconut oil is a very good oil for people who don’t have a gallbladder. I would suggest you read his book. Could you please add me to your egg fast FB group pretty please ? I hope you got in there! If not, send me your name so I can watch for your request! Thank you for sharing your day to day egg fat routine. I just had an eye opener after reading what you had the first day. I’ve been getting way too much fat, I haven’t taken into consideration the fat that’s in my BPC and sometimes I have two 8OZ cups . I’ve been real sick with nausea, stomach cramps and bathroom woes. I’m gonna try this again the right way. Oh I’m glad it makes sense now! Yes, tummy woes, too much fat can do that. Good luck! Hello ! I am struggling to loose weight I till I found your page . Any advice for staters on this whole journey ? I am so fed up with my weight and can’t seem to stay focused . Please help me . I would love to start egg fast . This looks really simple menu the way you break it down. What after egg fast I am totally new in this . Plzzz help . Hi, one thing to know about the egg fast is that it is an extreme version of low carb. It is quite likely you will get some pretty good carb detox symptoms that we like to call ‘keto flu’. Most people who do the egg fast are already on a low carb plan or follow that afterwards. Check out some basic info here on Atkins and go from there. I can’t drink coffee. What can I drink in its place. You don’t have to drink coffee! If you like tea, drink tea, otherwise stick to water. I want to give this a try. But do I really have drink the BPC this early…5h30? No of course not! I have to because I get up to go to work that early. You need to work it around your schedule whatever that might be. Good luck! what’s the deal with drinking so much water? I love my earl grey tea and could drink it intravenously. I mean a ‘large’ mugful. Would this count for my water levels, surely?? love your tips and tricks. Yes, I think tea is just fine. I am following your Day 1 menu. I started with my first egg at 5am, had bac at 9am and now at 10:30 I am eating the cream cheese omelette which btw is wonderful. I am sooooo full, it’s taking all I have to finish the last few bites! I can see that there will be no hunger here. ..
That’s great, I’m so glad you are giving it a try! I wonder if you can add coconut oil to the waffles instead of the Mayo- Might give it a nice touch. I haven’t tried that but yes, could be an interesting way to have it. I just wanna say thank you! I have broken my stall!!! At last I am losing weight again after months of frustration! I must say that I did not lose a lot of weight (only 2 kilos), but the fact that I did not gain anything back after the egg fast, which I followed for 5 days, makes me feel completely satisfied. Now I eat eggs for breakfast and lunch and have something different for dinner… I also felt great during the egg fast (no dizziness, no hunger, no adverse simptons…). To sum up, from my personal view, it was a huge success! Thank you! Hi there love your posts 1 question can I add egg on my bullet proof coffe? Thank you so much for posting this! It is beyond helpful! So I have done the egg fast before with great results. This time I am wanting to do it for as long as I can (4 week max). Then am wanting to switch to “dolly parton diet”. Do you think this will hurt or help my weight loss progress? I have never heard of the Dolly Parton diet! So I can’t say. Is it low carb? Thanks for sharing , but I have a doubt about what kind of sauce I can use, I like to make a spicy sause with dried chile de arbol peppers, cloves of garlic , a little onion, salt , water and a little olive oil. I really love this sauce on my eggs, but I am not sure if is allow under the diet, can you please help me with this? Have a wonderful night ! Hi Luzy, this is only 3-5 days so it won’t be too long before you get to have your sauce again! You can use a tiny little bit of hot sauce instead, a little goes a long way. Thanks for visiting, more to come tomorrow! how do i subscribe to your blog? it’s wordpress but i can’t find your subscribe button, usually there’s one for wordpress blogs! haha, I have never looked into that, had no idea anyone would ever want to subscribe! You can follow me on Pinterest and I have a Facebook Page where I post my new blog posts. Thanks for asking, maybe some day I’ll be more organized in that way!